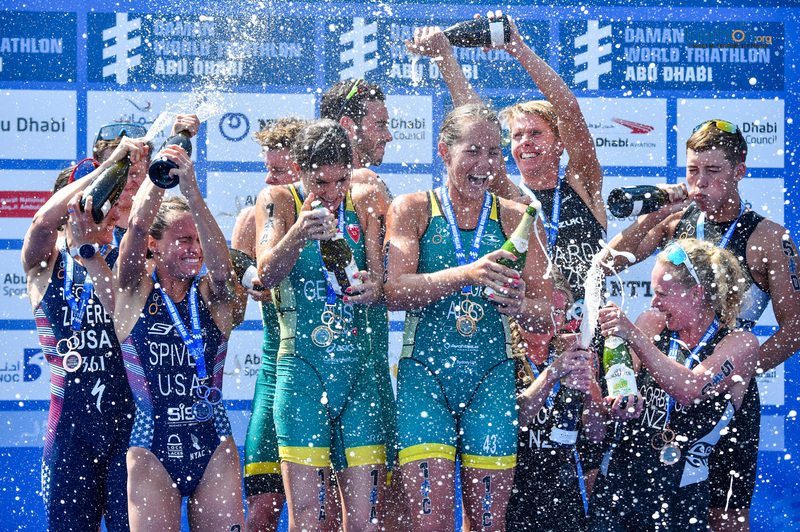 Tayler Reid crowned U23 World Champion on the Gold Coast. 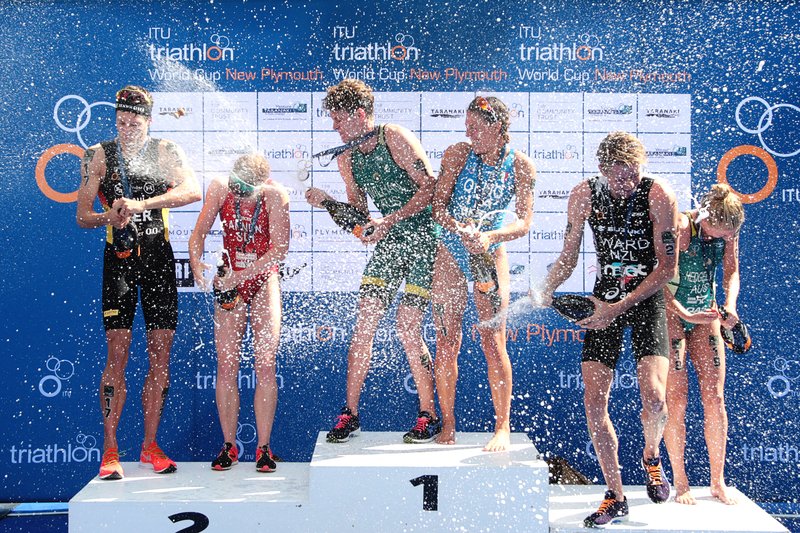 Triathlon New Zealand athletes capture three top ten spots at the 2018 ITU World Triathlon Grand Final including Tayler Reid grabbing the top podium spot. 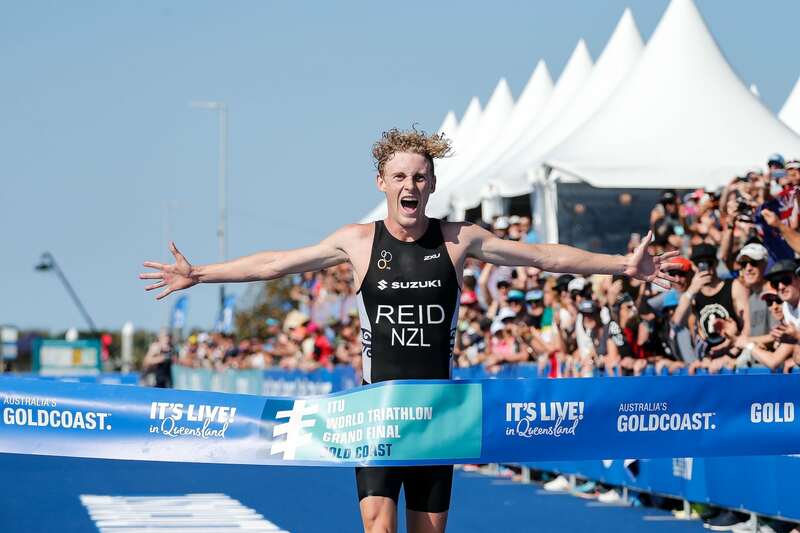 Reid showed incredible determination on the run pulling away with 2km to go having been side-by-side with Britain’s Samuel Dickinson and France’s Leo Bergere for most of the 10km run. Reid’s coach Stephen Sheldrake is thrilled with his athletes performance. Nicole van der Kaay finished in fourth position in the womens race after Taylor Knibb of the USA built up a three minute lead on the bike with a chasing pack of eleven riders including van der Kaay and the fast running French athlete Cassandre Beaugrand. It soon became a battle for third for van der Kaay swapping that position with Italy’s Angelica Olmo a couple of times. It was a tough day, bitter sweet to get fourth just off the podium” said van der Kaay. 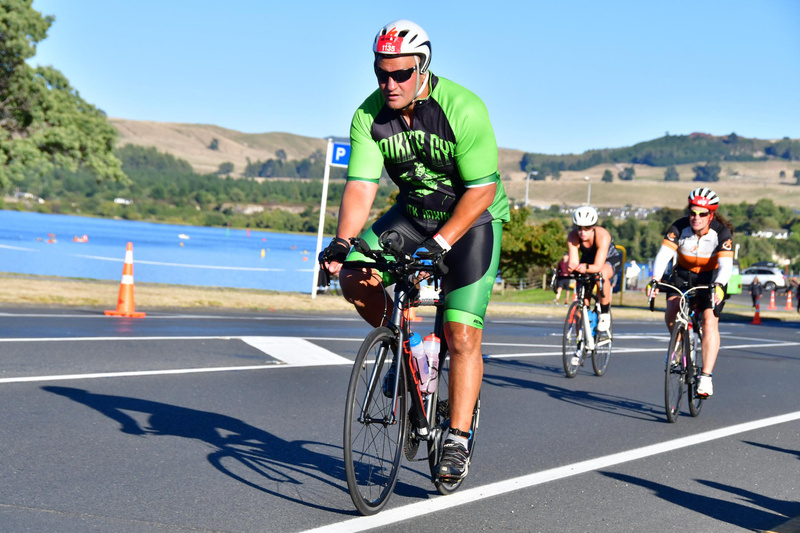 “I’m happy with how I raced as I wasn’t feeling super powerful, I gave it my all”. 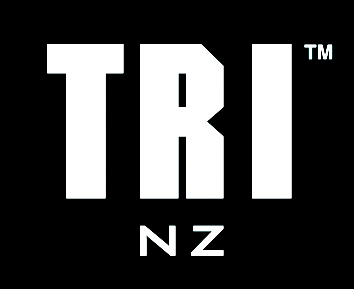 Claire Beard, CEO of Triathlon New Zealand said that is had been an exciting day for triathlon in New Zealand.